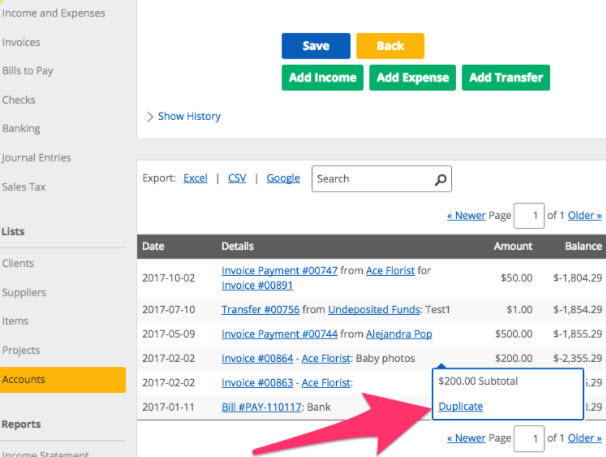 Instantly see all the payments that your clients have made on their invoices or that you have sent to your suppliers. 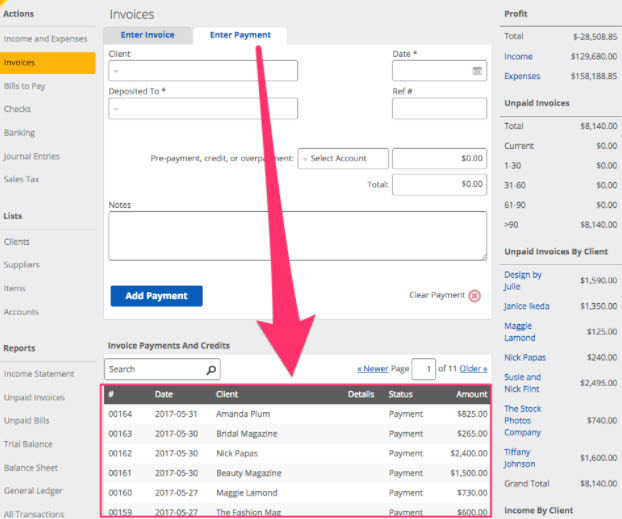 No more clicking through each invoice to try and figure out when it was paid. You will also be able to see if there is a over payment or a credit. Sometimes you need to look to see if you have already created a transaction for a client or if you need to. By adding duplicate from your accounts view you now can duplicate from pretty much everywhere in Kashoo.